Bullmastiff Rottweiler Mix is one of the eminent dog breeds in the world of hybrid dogs. It was originated by the crossing of Rottweiler and Bullmastiff dog. This designer hybrid dog breed is recognized by DRA (Dog Registry of America, Inc.). It is also recognized by the IDCR (International Designer Canine Registry). These are confident dogs and are found to be stressed in the absence of the owner. It is also known as Bull Mastweiler. 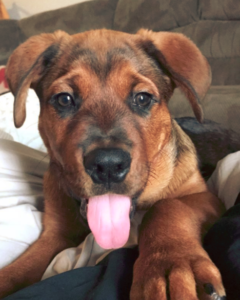 Let’s address common queries about Bullmastiff Rottweiler Mix dog such as does Bullmastiff Rottweiler mix really exist, the average lifespan of Bullmastiff Rottweiler mix,, Bullmastiff Rottweiler mix appearance, Bullmastiff Rottweiler mix Weight and Height, and Diseases in Bullmastiff Rottweiler mix. Does Bullmastiff Rottweiler Mix Really Exist? Yes, these dogs do exist and become part of the family in no time. They are lovely companions having enormous desirable traits. They are found to be less aggressive than their parents. Maintenance is not tough at all. Even, monthly baths are enough for cleanliness. Use the brush or comb for cleaning. If you are having this adorable dog breed in your home, then share your experience with us. This sedentary hybrid is confident and stubborn. They show a good response to training but give tough time in training, if it considered late in life. It is protective in nature and calm in temperament. The dark brown eyes of the Bullmastiff Rottweiler Mix is usually almond in shape or round in appearance. Ears of the pet can be either triangular or V-shaped in appearance. Their coat color usually comes from their parents. However, having patches of white, black or brindle color on the body is quite common. It was originated in the 1990’s. This guardian dog usually depicts the height of about 24 to 27 inches. However, female Bullmastiff Rottweiler Mix dog depicts to have a bit shorter height than this. Likewise, the male dog has more weight than the female pet. They are shown to have an average weight of 90 to 130 pounds. 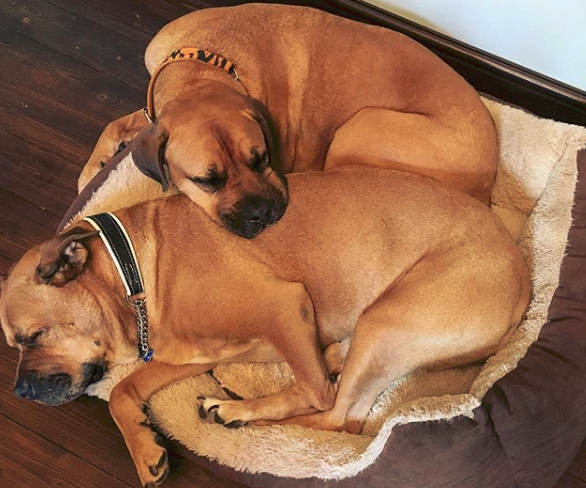 Some of the important training that is important for the Bullmastiff Rottweiler Mix are obedience training, carting activities and agility training. 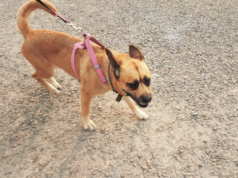 The owner should consider taking the dog for regular walks, tracking and drafting activities. Avoid jumping the pet from an excessive height as they get injured or damage their bones. Double coat Bullmastiff Rottweiler Mix dog shed much more than the single coat ones. The major health issues in the Bullmastiff Rottweiler Mix are bloating, hip dysplasia and Osteochondritis dissecans. In addition to this, the pet may also suffer from other health issues such as retinal detachment, elbow dysplasia, and hypothyroidism. Bullmastiff Lab Mix is another fabulous hybrid dog breed which has various stunning facts. Find out these by reading about it! Get your dog featured on the website and enjoy the quick selling of it. Feel free to approach us anytime. Let us know the details of your pet along with a picture and relish rapid selling. Hi! I’m Alexandre and I’m a professional blogger. My blogging journey starts Back in 2012. I love to write about Pets. I am running more than 10 Blogs related to pets & animals. 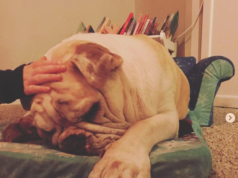 How to Train a Bullmastiff Puppy? 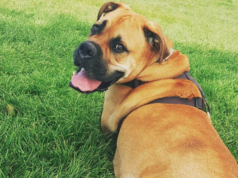 www.bullmastiff-info.com is also a participant in the Amazon Services LLC Associates Program, and we get a commission on purchases made through our links.